I have stuff. More stuff than a 27 year old should. Moving into my own house greatly increased my amount of possessions, but that isn’t really the stuff I’m talking about. I’m talking about stuff that I don’t use like my two sewing machines and my collection of porcelain dolls from when I was a kid. Yeah, no adult needs 12 porcelain dolls. As I mentioned in the post ‘I Have One Too Many Rooms of My Own’, I have a second bedroom that I don’t need or use. 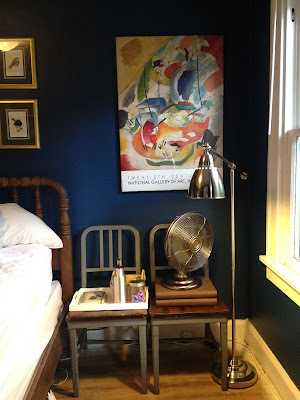 At one point I created a mood board for the room to be used as a guest room/office, but even as I was making that I was thinking “I will never use this room.” So it’s just been gathering junk for a year, that is until this weekend. There is no room reveal today but hopefully by the end of the week I’ll be able to show you what I did with it and what/who it will be used for (I know your minds are reeling at all the possibilites). Here are some reminder ‘before’ shots. My goal was to go through all of this stuff and either get rid of it or find alternative storage for it. So this weekend I cleared out what was essentially functioning as my own personal in-house storage unit. So here is how I decided where all my crap would go. Step 1: Determine where my main storage areas are. 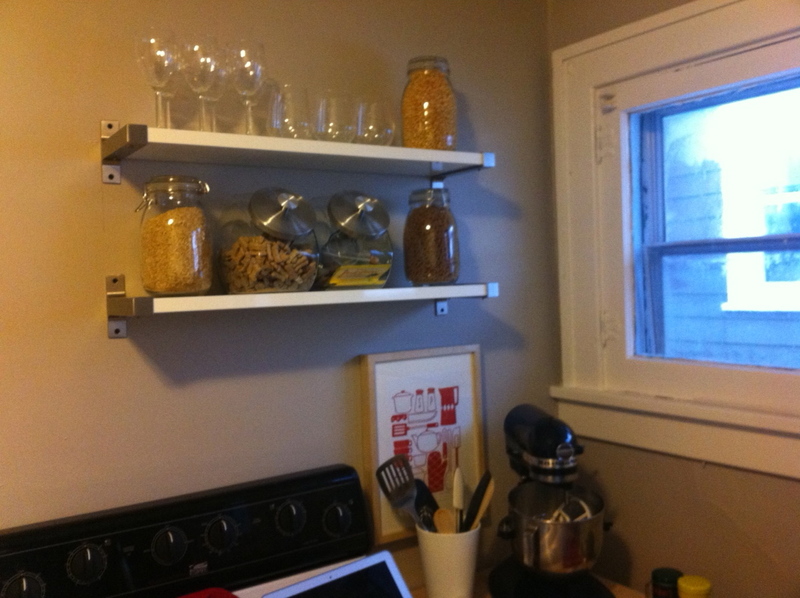 This is a good first step because it helps you know how much you can physically and reasonably store. For this house, my storage spaces are the basement (I have a half-basement that isn’t finished but is perfect for storing bins of crap), hall closet (this house has a deep hall closet which is perfect for storing things I need to access regularly), and my bedroom closet (it’s huge for such an old house and I don’t have that many clothes so there is plenty of extra space in there). Step 3: Do steps B, C, or D. I keep a trash bag with me when I’m going through stuff so that I can throw it away right then. I also make a pile for donating and then immediately take it to my car. I am far more likely to donate it if it’s already in my car (and I actually did go donate my stuff this weekend because I needed to pick something up so it forced me to clear out my donate pile). Same thing with stuff that needs to be returned to others. Keep it in your car and return it as you see people. D) I will never need it but I can’t get rid of it (memorabilia, childhood stuff). Step 5: Determine where in your house these things function best. For me I store all B, C, and D category stuff in my basement. This includes holiday decorations, large luggage, and several tubs of childhood collections/memorabilia. My ‘A’ category stuff is where it gets tricky. 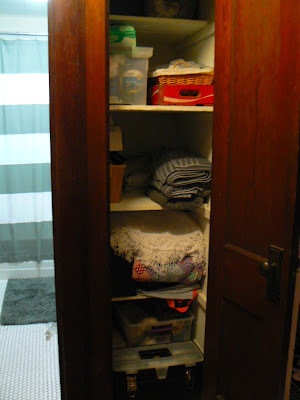 Anyone can stuff crap in a tub, dump it in the basement, and call it a day, but it’s organizing the stuff you need to get to regularly that is trickier. 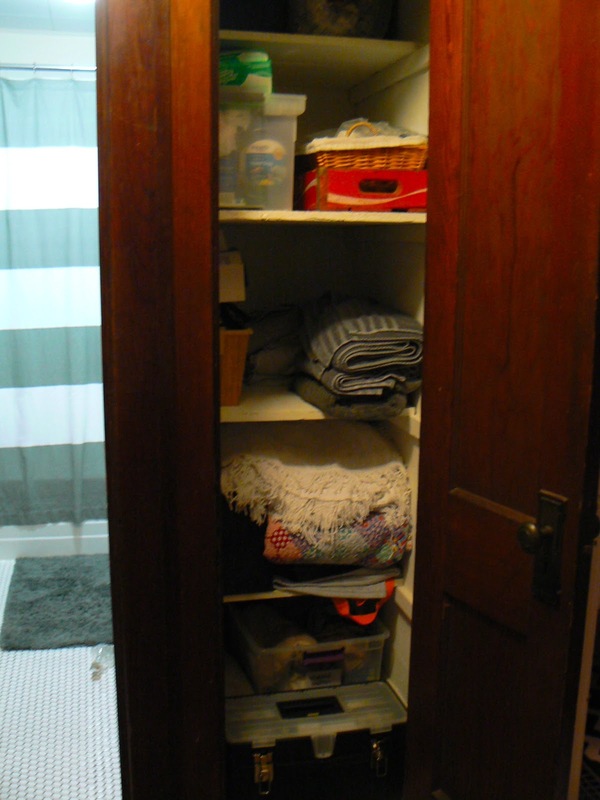 Since I have a large hall closet I use it to store not only bathroom products but also for items I need to store. The top shelf holds extra blankets and sheets, the middle shelves are normal things like towels, bath products, cleaning supplies, and the very bottom is where I keep my tools and other stuff needed for house projects. 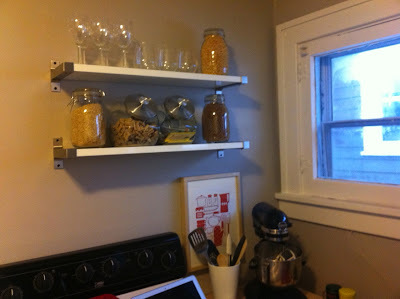 Since the bottom and top shelves aren’t as easy to access they are perfect for longer term storage. Probably the first thing you will notice about these pictures is that they aren’t “pretty.” I didn’t try and style my closet because it’s a closet and I’m more focused on the rest of my house looking good. My theory on storage is that is should be functional first and pretty second. I’m not to the second step yet and I’m okay with that. The storage up above is seasonal clothes and other random stuff that I seem to need occasionally and down below is gift wrapping stuff and a box of home decorations that I rotate year round. It works for me. Any of this stuff can be taken to the basement if I ever need more room in my closet but for now it doesn’t bother me to have it loaded in there. Often one project leads to another so for me I ended up not only cleaning out the second bedroom but I cleaned the basement, hall closet, and master closet in order to store more stuff there. But now everything is relatively clean and organized so it was worth it. Is my method insane to you? Everyone seems to have their own method and that’s the way it should be I suppose. Whatever gets it done. I’m exhausted just reading about all that I did haha. Thanks go to Kim for suggesting this post! This is my favorite IKEA purchase of all time. This is the STOCKHOLM RAND rug. It retails for $299 for the 5’x7′ and I got it for $50 in the ‘As Is’ section. Yes, that’s right, $50! Best. Purchase. Ever. These shelves are EKBY JÄRPEN/ EKBY BJÄRNUM. They were $29.99 each. I wish I had gotten one more and made it three instead of two, so maybe I’ll do that soon. The only thing about these shelves is that they are only about 10″ deep so make sure you read the dimensions on these products before you buy them. I’m not actually sure what this bookcase is. I’m guessing it’s a Billy bookcase with legs and glass doors. I got in ‘As Is’ for $120. 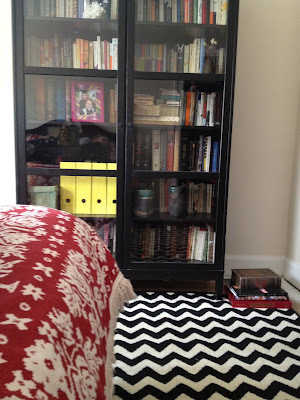 It’s a great bookcase and I can not stress enough how much I love glass doors on bookcases. NO DUST. Enough said. The problem I’m having with this bookcase right now is that it’s black. I really like dark walls and so it is getting lost in the wall color (this picture was taken before I painted my bedroom walls dark blue). I’m thinking of painting it white, but that seems like a lot of work so I’m really debating whether or not to go for it. This image has two IKEA items. The first is the large art print on canvas. I got it as a Christmas gift about three years ago from my mother. I’ve always been drawn to Gustav Klimt’s art and when I saw this close up large scale print of “The Three Ages of Woman: Mother and Child” I knew I had to have it. It costs $79.99. Sometimes I feel self-conscious about having it because I’m not a mother, but most of the time I really love it. The second item is the cabinet. I don’t have any idea what kind of cabinet it is. I got it in the ‘As Is’ section for about $70 I think. I don’t remember the exact amount. On IKEA’s website I tried to look up what kind it is, but no luck. My best guess is something in the BESTÅ family. I think it is intended to be a TV cabinet but I use it my dining room as a sideboard. During parties I use it as a bar cart. When I first put it in the dining room I was using the cabinet part to store serving platters and other kitchen things, but then I realized that I had plenty of room in my kitchen for that stuff. Now I use it for my craft storage. It works great there because it’s right by the dining room table which is where I do most of my crafting anyway (excuse the blurry picture). This image shows two more IKEA items. The couch is IKEA’s KARLSTAD couch in Isunda Gray. I love this couch and I’m hoping to purchase a second one soon. I am a huge fan of the Karlstad line. It has the clean line of a classic Billy Baldwin couch without the huge price tag. The 6.5′ couch is only $599.00 and if you’ve ever shopped for a couch you know that’s a great price. The second item is the coffee table. It is the STRIND table which retails for $99. I got it for $30 in the ‘As Is’ section. It works really well in here for now but I have dreams of something a litte different in the future. It is a great starter coffee table. This is an old photo but I have still have both of these pieces (in different places now). The first is the LACK coffee table. 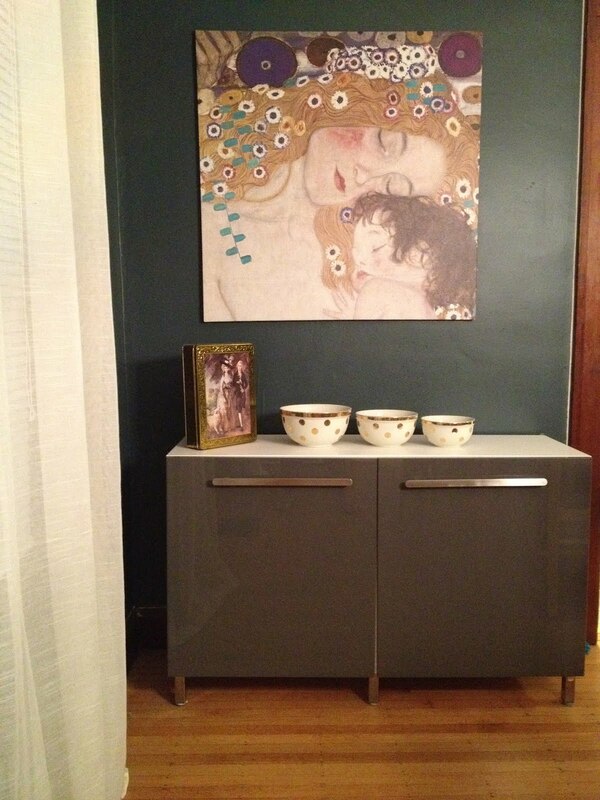 This is an IKEA classic, most often seen in dorm rooms and tiny apartments, but it serves it’s purpose. I have another LACK table in birch on castors that is currently collecting dust on my unused front porch. They are so cheap it really doesn’t matter what you do with them. They white table was only $7.99…seriously. 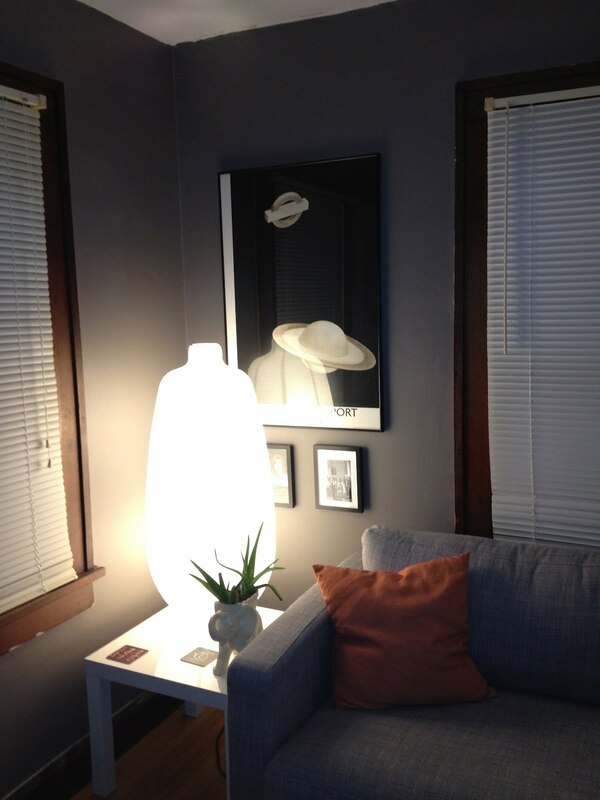 I think I got the one on castors for about $15 in ‘As Is.’ The lamp is the VÄTE lamp and it was $29.99. I got it four years ago and it has surprisingly survived countless moves. I’m honestly so impressed that it hasn’t ripped yet (knock on wood…er laminate, this is an IKEA post afterall). 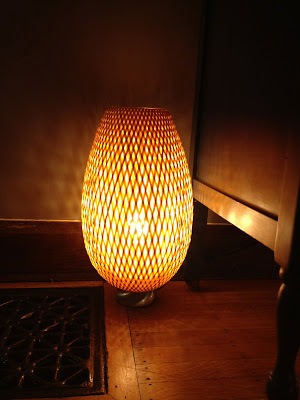 This is the BÖJA lamp. I have two and they are about 20″ tall. Currently they are flanking my TV. I really like them. They give off good light. They retail for $39.99 and I got both for $30. Go me! This is a lamp I got on Craigslist. Yes, two of my very favorite things in one, IKEA and Craigslist. I bought it for $50. It retails for $59.99. It was brand new. Not my best Craigslist haggling but it saved my $9.99 and a four hour drive so it was worth it. I have so much more IKEA stuff in my house. Mostly kitchen stuff like dishes, wine glasses, and glass canisters. I also have have sheets and a duvet cover, a quilt, and lighting fixtures (which can be seen in other posts). It is a great place to spend the day. I love the little houses they create within the store. I love all the great storage solutions (even though I don’t have enough stuff to require all that storage). I always have a long list of things I want to buy there. 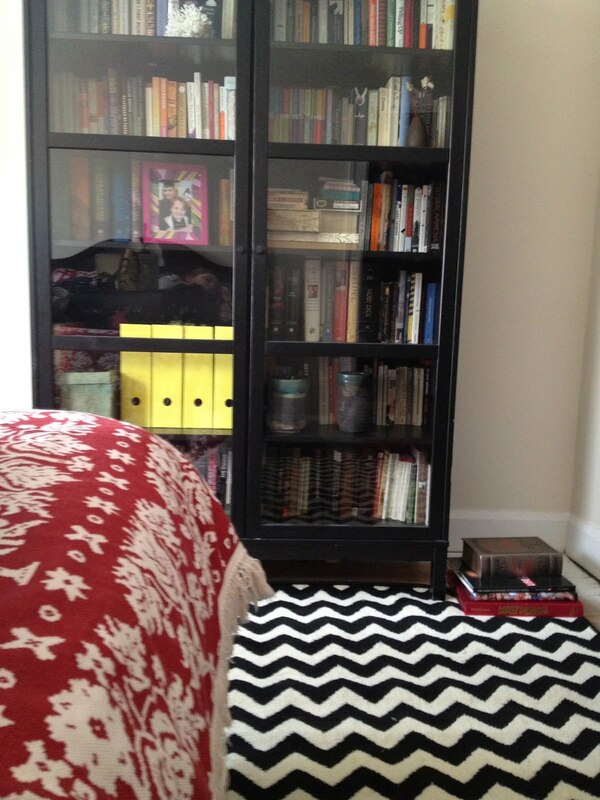 What’s your favorite IKEA purchase?